Tom Dougherty (above), co-owner of Studio 2015 in Woodstock, gives an appraisal while volunteer (background) Janet Hayes looks on. Visitors swarmed into the museum Feb. 28 for the third annual Antique Appraisal Day. They brought jewelry, art, glassware and number of one-of-a-kind pieces. Appraiser Dave Krieg (above) and assistant Molly Walsh view some toy figures. 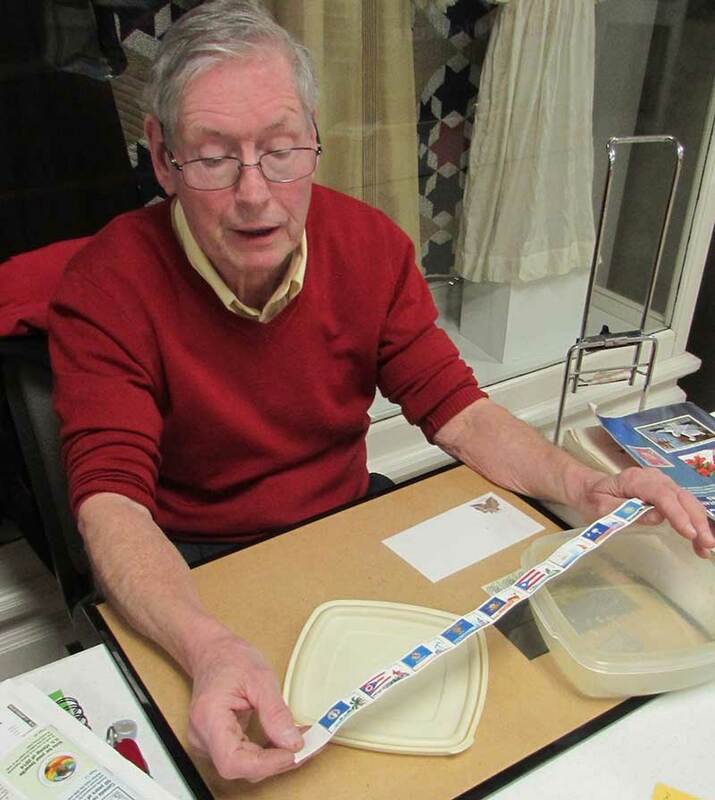 Board member and stamp collector Dan Ring shows off part of his personal collection. Volunteer Arylyn Booth, a member of the Library Committee, works to price turn-of-the-century books for sale. 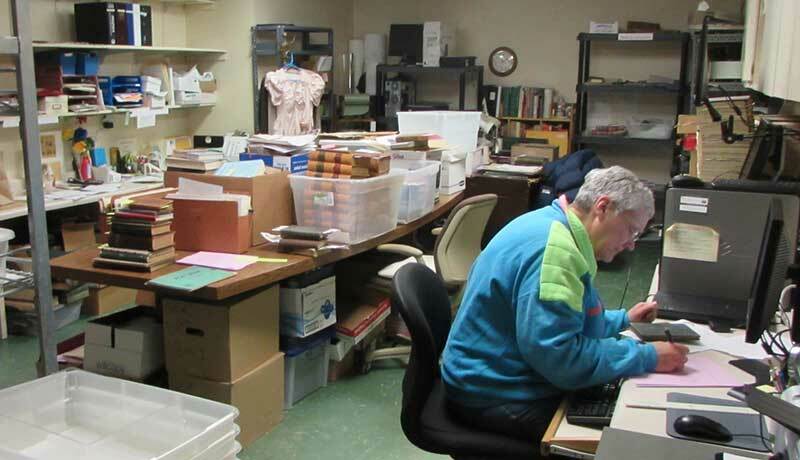 Duplicates and materials with no connection to McHenry County are sold to raise money for the Society's collection budget.